Hold my beer...I wanna try sumptin! The final product ready for production. It's my balsa version of the COX Hyper Viper. Weighs just 195 grams (6.88oz)...with motor, tank, and wheels... without covering. Can be ordered as a "QUIK KIT" with the wing jig built. Or as a regular kit with instructions for the rather simple jig. If you grow up, you grow old. If you grow slow, they catch you. When they catch you, they stick you in the ground! ...let's go play with airplanes!!!! Yes I agree! It looks Super Hyper! Well, I'll be ordering one now. I've been loath to trash my original NIB Hyper Viper, so this will be a good solution. Now you just need to make a replica Cox Spook. I’ll third the Spook. I have rough plans and dimensions if you need them Greg. What engine size is recommended ? I definitely want a Mirage. Foam wing? The Mirage will most likely be a built up wing. I tried my hand at a foam wing on Jim Walker's Firebird and it didn't come out all that good. Maybe just a fuse and tail kit for me. I'm pretty handy with foam. Either way, the Mirage 1/2A, and the full size are on my wish list. A few people were wondering about the "jig" for building the wing. Here are few pix of the jig that comes with the regular kit. It's very very simple, but does the job rather easily. Works best if tacked down over the plans into a piece of drywall. If you tack it to your wife's dinning room table...I NEVER HEARD OF YOU!!!! Mine is coming along. I'm still trying to decide between a Tee Dee or a Norvel Big Mig .061. The TD fits a little easier, but the exhaust vent is simpler with the Norvel. I gotta make the decision so I can go ahead and cut the vents. Here's a pic from today with a TD sitting in it. I've always been a COX fan. Just keep in mind the original weighed between 10 and 12 ounces and it flew pretty good with just the Production .049 in it. 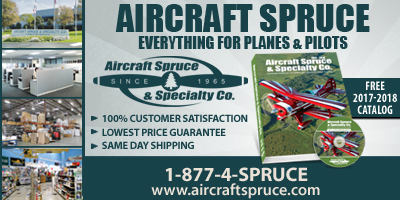 I would suggest using a Master Airscrew 7 x 3 prop for your first flight if you're going to run the Big Mig. That will give you plenty of "pull power" but keep your lap time down to just below 4 sec on 42' lines. Greg, Thanks. I'm actually using another approach for achieving a good speed for a Stunt run, which I think better suits the pressure bladder feed. Rather than heavily propping the engine, I'd rather use a short flat prop so the engine runs in its peak power band where it's able to turn max RPMs and get the benefit of its SPI and no bogging in hard turns. I'll tame the speed with a low pitch, like an APC 5x2, 5.25x2 or 5.5x2. With the APC props, even a 6x2 will still allow either engine to peak. There is no other brand besides APC that will do this at 6" length. I know there are lots of people that'll think my approach is crazy, but I it works on 1/2A performance engines. If I was running on suction, this may possibly be different. I started a build thread in the Open forum. The wing is designed...the tail feathers are designed...Fuselage is done as far as the 3D model goes. Now to make sure I can hold on to it while the machine carves it without spitting a balsa block at me! NOW! I'm getting a few requests for the Hyper Viper as a 40 incher!